6th October marks the start of the 10th annual Carbon Monoxide (CO) Awareness Week which aims to highlight the dangers of CO. 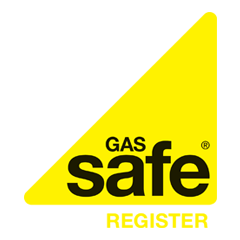 The event, which will run until 22 November, is organised by the Carbon Monoxide Awareness charity and has seen support pledged by numerous trade associations and businesses throughout the UK. Commonly known as the silent killer, CO poisoning can cause not only fatalities but also severe health problems. The potentially deadly gas is produced when organic carbon based fuels such as gas or oil burn but not to completion. CO gas has no colour, taste or smell which can make it extremely hard to detect. The best way to help prevent CO poisoning is to have appliances checked by a Gas Safe or OFTEC registered technician. Installing a CO alarm can also help to protect your household, but should never be used in place of having appliances inspected on a regular basis. Trade association OFTEC has thrown its support behind the event and is urging households that use oil heating to install CO detectors and ensure their boilers are regularly serviced by a registered technician. You can learn more about the dangers and best preventions of carbon monoxide poisoning on our blog or visit the Carbon Monoxide Awareness website for more information.